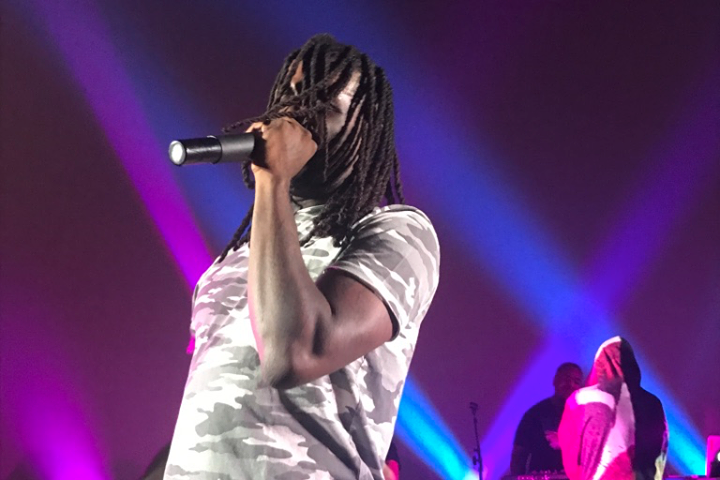 Chief Keef recently stopped at the Fremont Theatre to give SLO a much needed taste of Chicago hip-hop. 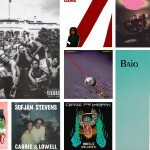 While SLO isn’t completely deprived of hip-hop, recent years haven’t provided much for fans of the genre. Bay Area rappers like G Eazy and E40 have been some of the most notable rappers to make the trip down, but as I am a fan of neither, my hope for an exciting hip-hop performance has grown weak. Luckily, my prayers to the hip-hop gods was finally answered with the unexpected arrival of Chief Keef. 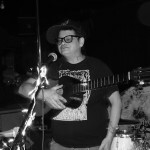 The Chicago rapper set up shop in SLO for a night while on his current tour with RJ, Honey Cocaine, and headliner Tyga. How Chief Keef ended up on a tour with those three is beyond me, but nonetheless I’m happy he chose to roll solo for the night. Doors opened at 8 PM to an empty stage with what seemed to be just a playlist of popular hip-hop songs playing through an aux cord and a Spotify account. I arrived around 10 PM to a door man telling people in line that Chief Keef won’t be performing until midnight. Sadly, yet not surprisingly he wasn’t wrong. A decent sized crowd waited patiently until Keef finally hit the stage. With a couple hype men and a crowd eager to start turning up, Keef dove into his long list of bangers. 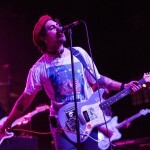 While I was expecting a generic crowd of lowkey hip-hop fans just looking to jump around to hits like “Don’t Like” and “Love Sosa,” I was surprised to find much more. The tireless mosh pits and screaming fans created an exciting environment for everyone. 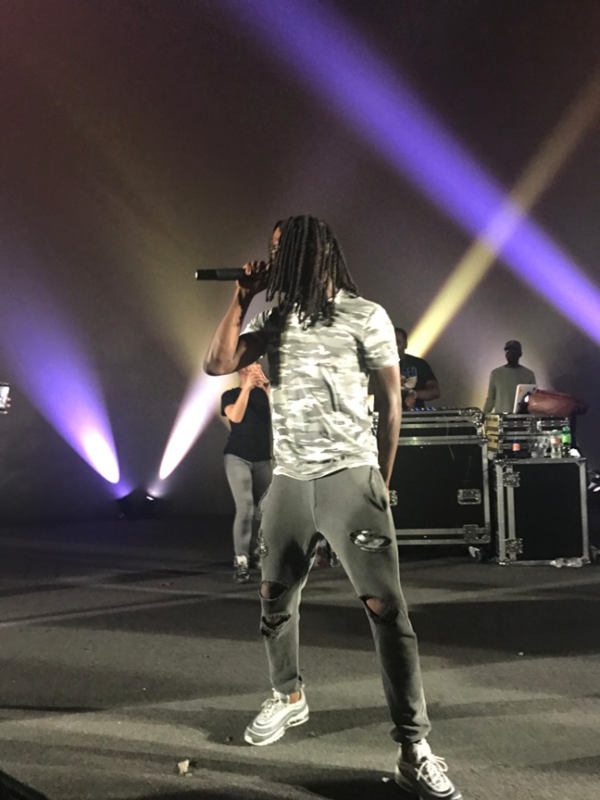 With Chief Keef’s extensive discography, including three full-length albums just this year, it’s understandable to find yourself hearing him perform a song that you’re not familiar with. It’s even more inspiring when I can hear a girl behind me rapping every word in unison with Keef to a song that I have never heard before. There’s definitely a strong hip-hop fan base here in SLO and hopefully we can see it rewarded with more performances. 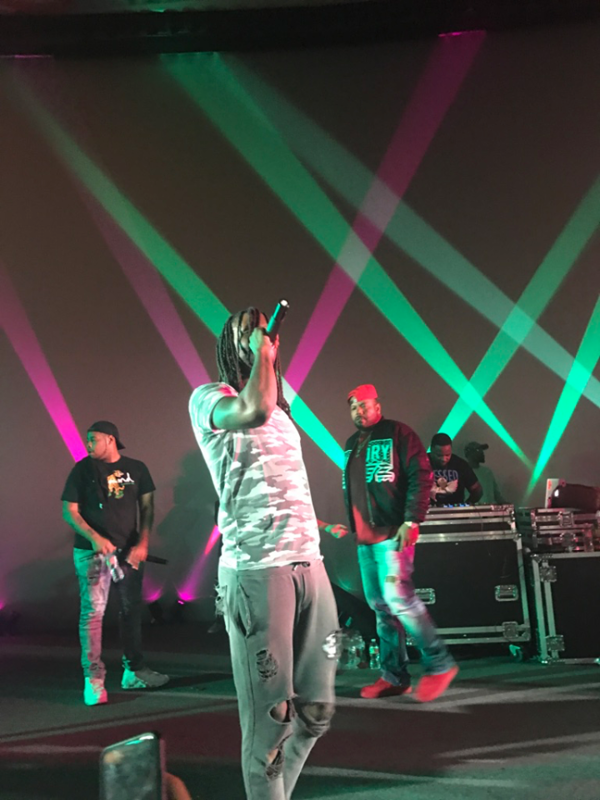 Everyone got hype one last time before the set ended with Keef performing possibly one of the most iconic drill rap anthems ever, “Faneto.” The crowd was impressive, the speakers were loud, and Chief Keef came to show SLO a good time; what more could you ask for? 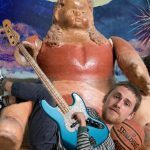 Noah Simpson is a Cal Poly political science junior and KCPR content contributor and DJ, taking over the airwaves as DJ Upton from 8-10 PM on Wednesdays. He attended this show, wrote the article, and took the pictures.